Back in this building's time it was owned by Pete Markuzic, AKA Markuzic's Store. 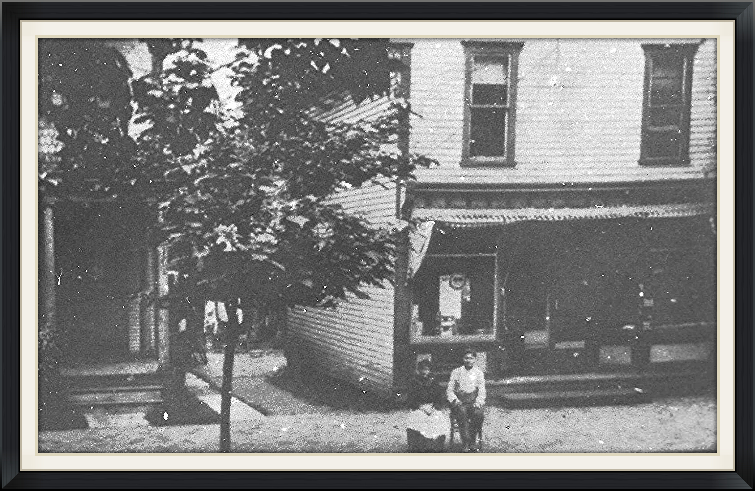 He operated a general store then, and later the store was operated as Burkett's, then Rexal Pharmacy, Dodson's, Libby's, Val's Place , Brickyard Cafe, then Sunnyside Cafe and back again to Brickyard Cafe as it is today. Owned and operated by Melissa Miller and her family. The cafe still has the old style swivel bar stools, and counters and lots of memorabilia. Melissa enjoy's talking to people who frequent her place of business to eat, relax and talk of old times and current affairs of the neighborhood.